Unless you either live under a rock or simply don’t care one ounce about Star Wars, then you’ve heard of the controversy surrounding the lack of Star Wars: The Force Awakens merchandise featuring its lead character, Rey. There has been a slew of articles written (including one where the film’s director J.J. Abrams chimes in. ), and the latest says that toymakers were told specifically not to include her, as they didn’t believe boys would want toys that included a female (no, never mind that in 1977 boys played with ’em.). And after the outcry over the lack of Rey in the Force Awakens Monopoly game, (which Hasbro claims she was omitted because of spoilers, which I think is a load of BS), they are finally re-issuing the game with her in it. Where am I going with all of this? Well, we felt like we should show our support for the awesome character by giving Rey her own day. A few of my friends came up with idea and organized the event and we converged on Disneyland in Rey Disneybounds. Later in the day a few of us decided we should visit Chewbacca, who was overjoyed to see so many gals dressed up as his new friend. Also, wookies give the best hugs. Period. Also mid-way through the day I met one of my art idols, Brianna of Brianna Garcia Illustration! If you love Disney you should for sure check her out. For as much as I love Disney, I hardly Disneybound. I think a lot of this is because my wardrobe isn’t full of color blocked basics, which I think are key to Disneybounding. This is why my Maleficent Disneybound felt like an accomplishment. So, when I got invited to Rey Day I thought “Oh, she’s just khaki…I got loads of that.” Sadly, my initial idea failed miserably, so I dashed the TJ Maxx that is practically next door and found nearly my entire bound there. My feelings that I had while shopping the racks of TJ Maxx could be a post in itself, but I’ll spare you. Despite the numerous “WTF! ?” moments when shopping and trying stuff on, I am overjoyed with the outcome, and it was so well received. You are so adorable. I’m not much for Disneybounding (at least not for me personally), but this changes my mind. You totally rocked this outfit! This is so awesome! I’ve read several of those articles with mounting anger, and I think you found a really fun and charming way to show your support for a wonderful character. I honestly have to wonder if the people who left Rey out of the marketing even watched their own movie. Who could resist rooting for her? I love your outfit, you make an excellent Rey! I’d love to do a Rey cosplay (I’m unlikely to get to Disney to Disneybound but I’ll be going to Comicon) but I think everyone and their mother will be dressed as the new Star Wars characters this year so I’m a little worried I wouldn’t measure up. A lot of people were quick to defend Hasbro etc after the whole “not wanting to give any spoilers” thing but they’re known for missing female characters out of their other merchandise and Rey was front and centre on some of the posters so honestly that doesn’t fly with me. I think they could easily have included her without spoiling any aspects of her role in the film so it’s a flimsy excuse. I’m not sure what bounding means but the role playing outfits you picked out are very inspiring…I didn’t actually see the movie but I am simply “in love” with all of you…love outfits based on a theme….you done good! 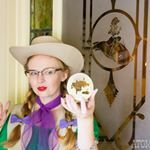 “Disneybounding” is when one takes street clothes and wears them in a manner that is similar to a character, as Disney Parks do not allow Guests over the age of 12 to wear costumes. This is super duper awesome! Yeah! what is up with them not adding Rey who IS one of the lead actresses. I can’t wait to see what happens next with Rey. I know a lot of women and girls will be doing Rey cosplays at the up coming cons, so exciting! I totally agree with you about shopping at TJMaxx. I went in there a few times and while the prices are great. For me it was so time consuming trying to find stuff. That is why I stick to thrift stores, buying online, and shopping at Kmart. Absolutely cool outfit. I love that, as much as it’s a Disneybound look, to my eyes at least, it could easily be worn outside of the park and in one’s daily life, too. hey, i am an reader of your blog since some time. and this year it finally happens that i am going to visit california in october. and of course disyneland in anaheim is number one of my todo list. so i wanted to ask you kindly if you maybe can write a blogpost for visitors from outside the area? maybe like where the best places are to stay in anaheim and any other tipps about how to plan one or two days in the park. i am thinking about skipping most of the rides to not spend all my day there in waiting lines. but maybe you have some insider tipps what is great to see, which is the best restaurant to eat and what are the best spots to take pictures. That is so wonderful that you will be visiting! I’ve thought about doing a post for visiting Disneyland for awhile, but thought I wouldn’t be able to give the right tips. As I always felt those wanting tips would be families, and seeing as I would only visit with my husband, I would only provide tips for couples or friends. But I’ll try to get together a post! I love this! Rey is probably my favorite character in the franchise already and I’m glad to see someone disneybound her already!